Although i have dated my visit 2015 ( could not chose any earlier year), it was around 2007 when we visited this hotel. hotel is nice enough. but oh dear.... i had read the reports of the BUG at this hotel, but decided to book, because a lot of folk get a bug on holiday. well, we had been on holiday abroad many many times and have not experienced the like of this BUG. Yes they have hand wipes on entry the dining room. but lots of folk just ignored it, big mistake, well, my husband and i arrived on the Sunday and in the restaurant a young boy said to me.."have you had the bug", to which i replied no. well low and behold on the Tuesday my wife was very very ill with the bug. sickness and the runs. and i mean the runs. it was awful. bedded for 2 days, totally wiped out. I took the bug the next day, and it wiped me out completely for 2 days also. Myself and my wife have been going abroad for many many years and have never, i repeat never, picked up a bug such as this. I do not know if it is in the hotel or an airbourne virus. but reading reviews on another site HOLIDAYS UNCOVERED (now closed down). It would seem loads of other folk have suffered at this hotel. some have been hospitalised and have ongoing problems. I truly hope this hotel has got things sorted out. I would, after our experience, not go back to this hotel, but it is some years ago and maybe things have been sorted out. 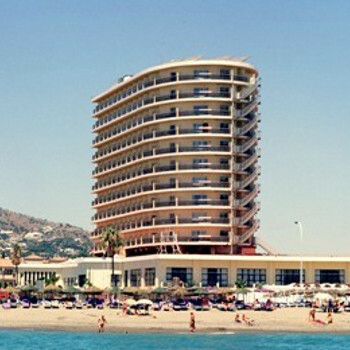 Have just come back from a weeks stay in the Torremolinos Beach hotel in November. The Hotel itself is very 80's in its decor, but so what! The towels were changed everyday and the room was cleaned too. The hallways to the rooms were a little gloomy, I heard someone say, so turn the light on I replied. It seems by reading some of the reviews of this place on here and other sites that people expect a Champagne Holiday on Beer Prices. You get what you pay for in this I'm afraid. The food was not the best, but I have paid a lot more for worse. There was plenty of salad, cheeses and meats and always a different selection of hot food. One thing there was too was a endless supply of fresh baguettes. These are been cooked in the canteen, so you can always get a hot one if you time it right. The alcohol was the usual local spirits which is awful really, but as you have paid for it you will drink it is the attitude of most. The shows the hotel put on on a night are quite good. They had singers, magic shows, dancers, but do watch out for the scam in the parrot show. At the end of the show one man walks around with a camera and two parrots and forces them on you to have a picture taken. His friend then comes along after asking your room number and also wants 10 Euro for this picture. The first man does not explain this, so most people feel obliged to pay up. All in all it was a nice stay and the staff work very hard, but like I said don't be expecting the best holiday ever. This was our 6th visit to this Hotel. In general most things were as per our previos visits but the entertainment has now gone towards the Spanish clients who are now in the majority. The bug was very prevelant as it was in many other Hotels in the Costa Del Sol area. In the past we have really enjoyed our holidays at this hotel, but we will not return. Thomson holidays have already pulled out. First time we have ever stayed at a hotel which is all enclusive,this has to be one of the best hotels we have ever stayed in, there is so much to choose from in the food department and it caters for everyone, the staff are forever keeping the table clear and there is always someone on hand, just turn around and they are there,brilliant! The location is perfect, right on the beach and takes a few minuites until you reach the shops. Alot of effort is made in the hotel to make us feel relaxed and happy, our kids thought they are in heaven, as there are all there favouite drinks on tap! This has to be a ideal place to go and have a good holiday, First class!! Unaware that there was no air-conditioning from October-April. Hotel restaurant very hot with a lot of flies. My husband and I both caught sickness bug and another 4 people that we spoke with also had it. Wipes are used as you enter restaurant but bug still exists and we were being really careful re cleanliness. Hotel nice and clean but could do with refurbishment. A 20 min walk into to centre with regular buses just outside of hotel. Enjoyed holiday but would not visit hotel again or recommend to friends. This is our third visit to the hotel in as many years. The hotel is still just as clean and just as friendly. Torremolinos Beach Club. What a fantastic hotel! The food is still not always as varied as you would like but they are trying, you do still have to wipe your hands on entry to the restaurant, which I didn't mind one bit. The staff are extremely helpful and friendly nothing is too much trouble for them. The hotel is at the far end of Torremolinos but a 15 minute stroll takes you to the bottom of a long hill, full of shops that lead into the heart of the city. Its in a fairly quiet bit and the beach is straight across the road. I only gave the hotel 4 for cleanliness because the chairs, tables and sunbeds outside could do with a good cleaning. I gave the entertainment 3 this year, as it wasnt as good as the last times we were there. Lots of singers. We returned back from this hotel on 17th July 2009. We were a bit worried before going because of all the reports of illness but i can honestly say it was one of the best holidays we've had and was sad to come home. Before going we requested through thomsoms rooms next to each other and on a low floor as we have a disabled daughter, when we arrived we were on the highest floor with 3 rooms between us, reception said to come back in the morning so we did and spoke to Neil the thomsons rep who was lovely and told us he would sort it out which he did and got us brilliant rooms next door to each other on floor one, he was always around for a chat and helped us when needed. The rooms were a good size and kept clean. Food: in one word: fantastic!!!!!!! There is food available most of the day and night and is very nice and alot to choose from even fussy eaters like my son found something to eat. we definately ate too much lol. The Staff: Very friendly, they do like it when you try to speak a bit of spanish eg: please/thank-you. my 4 year old became big pals with Anna in the restaurant. Entertainment: this is outside in the evening and they put on some good shows. there is a free game of bingo if you want it. There is a wide range of drinks to choose from including whiskey cream which is the same as baileys. they do red, blue, green cocktails for the kids, they also do chocolate milk and we saw them filling babies bottles with milk too, there is also ice cream in small tubs all day at downstairs bar (strawberry only) ice cream available from freezer in restaurant at meal times too. We did try to book a late checkout room but they said the hotel was too busy but there is a room to put your cases and they did say they have a room where you can shower. I suppose out of season you could have a late room. The beach is across the road and is nice if you like going to the beach, sunbeds 6 euros for 2 with parasol, there are local shops to the right of the hotel where bottled water, crisps, gifts etc are alot cheaper than the hotel. The hotel is secure and we felt it was safe enough to give our 15 year old a bit of freedom to meet other kids his age. There is an internet room with pool tables etc. There is crazy golf which my older kids used, unfortunately my four year old had a go but slipped and cut chin open which need hospital attention, if the doctor has to visit you at hotel it costs 90 euros also if you need to go to the hospital get a taxi (21 euros) because doctor charges 66 euros to go in ambulance, also 160 euros to glue chin and add steri strips! Dont buy inflatables as soon as you get there because people always give you some when they leave which happens most days. We did go to Aqualand which we booked through thomsons and got a good price, it was a nice day out but not really suitable for very young children, the older ones loved it although the price of food in the place was extremely expensive and we wished we had taken picnic from hotel. Cant think of anything else to write apart from we had a fabulous time and will definatly be returning. Came home yesterday after spending a lovely week at this hotel. I previously read all the reports about the BUG and was so worried I even wrote to my holiday company who assured me there were no problems. I was still very apprehensive when I arrived at the Beach Club. However, I have to tell you that it was absolutely brilliant. I never heard one single person complain about the food, the bug, the cleanliness. I do not believe this bug exists. I do believe that there are people who get stomach upsets especially after watching some of them overfill their plates and stuff themselves silly, all washed down with plenty of booze. There are handwipes provided at the entrance to the restaurant - what a good idea.The staff are friendly and there is always someone testing the temperature of the food with a little electric probe. The food was piping hot, fresh and such a wide variety, you would have to be mega fussy to be unable to find something you liked. Bedrooms were light and airy. Bed was rock hard (for me anyway). Maids were brilliant, nothing was too much trouble.Beds made and changed every day and fresh towels every day. Loads of sunbeds. The pools are freezing and the indoor heated pool was so full of kids that you couldn't get a look in. Didn't think much of the entertainment, but thats a personal thing and I didn't think the public areas of the hotel were very comfortable, the seating needs updating, but what do you want from a 3 star hotel. Met loads of people who have returned to this hotel year after year.I would not go back to this hotel - because we never go back to the same place twice - another personal choice, but lots of people do return. There is a bus stop right outside the hotel and you buy a ticket to Torremolinos Centre for 1 euro 10. This drops you at the bus terminal, just a short walk from San Miguel Street (brilliant shopping here). The public buses are an excellent way to get about and so cheap. Taxi from centre of Torremolinos back to the hotel was 7 euros. We did find the hotel to be a bit far out from the hustle and bustle, but if you like walking then its no problem. My advice - if you want a good value for money holiday, then just book it. Take the usual precautions when on holiday abroad, dont over indulge, dont get too sunburned and WASH YOUR HANDS! Enjoy it - we did. Booked flight and hotel seperately. Taxi from airport 20 euros. Arrived at hotel early and was given room key no problem. We had no problems with the food - always a good choice - I felt the lunches were the best choices! Entertainment staff tried really hard - and on the whole the entertainment was entertaining. No problem with the staff at the bars - all pleasant and very efficient. Drinks were brilliant,no short measures,the opposite in fact...Brilliant staff,great shows in the evening and met really good friends...this must be the frendliest hotel I have been to. All the people we met have been going there for years. No such thing as the so called bug,as it was spotless and the food was great. A brilliant hotel and we will be returning for sure.